The ‘responding’ strand of the Australian visual arts curriculum promotes twenty-first century learning skills through students’ analytical engagement with artworks and artists. Assessing students’ experiences and engagement is one strategy to improve teaching and learning in responding. However, there are no validated, subject-specific student engagement instruments for teachers to use. This study sought to develop a student self-report diagnostic instrument that provides information on past experiences with visual arts and factors affecting both cognitive and psychological engagement, with implications for improving teaching and learning. The instrument was piloted with 266 Year 10 to 12 students, as responding has an approximate 50% assessment weighting in the Australian visual arts course for senior school students. This paper reports on the exploratory and confirmatory factor analyses conducted in the development of the instrument. It adds to the body of knowledge on developing engagement instruments, recognising that student engagement in secondary education is context-dependent. ACARA. (2012). A guide to understanding ICSEA. 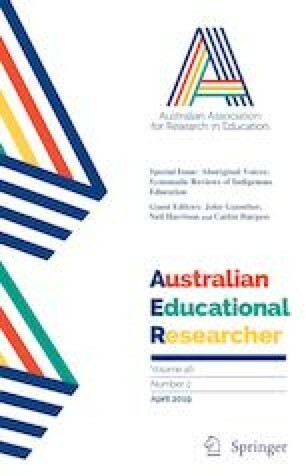 Retrieved from Sydney, Australia: http://www.acara.edu.au/verve/_resources/Guide_to_understanding_ICSEA.pdf. Commonwealth of Australia. (2017). National Innovation and Science Agenda. Retrieved from https://www.innovation.gov.au/page/national-innovation-and-science-agenda-report. Department of Education. (2013). Statutory guidance: National curriculum in England: Art and design programmes of study. Retrieved from https://www.gov.uk/government/publications/national-curriculum-in-england-art-and-design-programmes-of-study/national-curriculum-in-england-art-and-design-programmes-of-study.